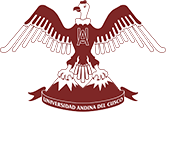 The conference will be held on the Auditorium of the Faculty of Law at the Andina University of Cusco. The University is located in the Urbanización Ingeniería Larapa Grande A-5 - San Jerónimo. Taking a taxi is the best option to get the Symposium (~9.00 Soles from the downtown). The Welcoming Cocktail will take place on the Auditorium of Post-graduate school of the Andina University fo Cusco, located in the Sol avenue 366, on the heart of the city (see B in figure below). As with most Peruvian cities the area around the Plaza de Armas (including "Sol" Av.) contains a large portion of the city's accommodation. The San Blas area, between the Plaza de Armas and Sachsayhuaman, houses a large amount of budget accommodation and hostels. International airlines operate scheduled flights to Peru s Jorge Chávez International Airport (Lima), which is the main gate for international flights and its the main hub to local flights connections. The best and fast option to arrive to Cusco is by air. You can get your connection from Lima to Cusco by bus, but is discouraged. From Cusco's airport there are several daily flights from / to Lima (approximate flight time, 65 minutes). around 31 daily flights between "Jorge Chávez" (Lima) and "Alejandro Velasco Astete" (Cusco) airports. 4 airlines are available (LAN, Peruvian Airlines, Avianca, Star Perú). When arriving at the airport there are two possibilities. Either take a shuttle local minibus (combi) at the exit gate of the terminal, or take a taxi. The third one is the most convenient. Please note that the taxi to the city center is around 20 soles (~6.00 american dollars) and depending on the time and the number of luggage you have. Attention: The best is to take an official airport taxi, located inside the airport.